The magician shows a wooden drawer box empty. Can be used to produce or vanish items including a small animal or to change one object to another. Great for magicians of all ages to do in a talent show, birthday party, or lecture. Little wonder this is a classic of magic used by magicians and entertainers across the world. Make candy appear and put the wrappers inside the box. Then close the box and open it again to show the candy has reappeared. The magician can take the wrappers and place them into the box again and "clean-up" by making the wrappers vanish this time. Another idea, place material and "stuffing" into the box and close it up. 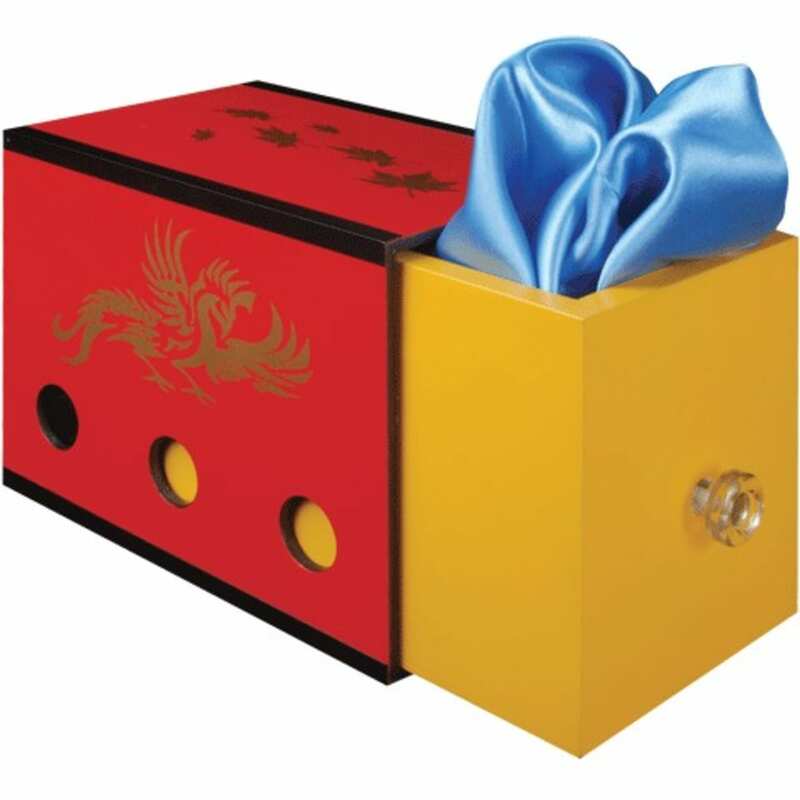 Have the birthday boy or girl close the box. Then make a stuffed animal appear. This is a great way for people to remember your show for years to come. Approximately 10" x 6.5" x 7.5"